2012 seemed to come out of nowhere (at least for me), and now we are already almost half a month in. We are busy at StubbyDog taking a look back at our progress and impact this last year, and planning some pretty exciting things for 2012. As I’ve reflect on the areas where we’ve really made the most substantial difference for pit bulls, I consistently find that although many of our planned campaigns or outreach initiatives have been successful, often our most moving impact comes as an unintended consequence or a domino effect from one person who we inspired to do something big or small, who help someone else, who told someone else and so on. I think we all remember the heart wrenching story we posted during our international theme, Dear Enzo. Shortly after we posted the story I received an email from a man who was friends with Enzo’s current family. He had read the story, recognized the dog and the situation, and wanted to put Allison, Enzo’s former foster mom, in touch with them so that she’d know that Enzo was doing amazingly! 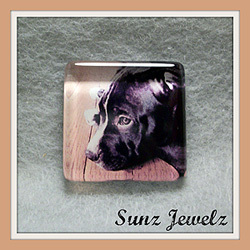 Soon after that a good friend of StubbyDog, Dawn of Sunz Jewelz, contacted me offering to make one of her amazing charms of Enzo to give to Allison. Another recent point of inspiration comes from our friend Mary Anne, who contacted me because she was interested in buying one of our 2012 Superhero Pit Bull Calendars for herself and one for us to send to a senator in a state that was considering breed-discriminatory legislation. Such a small and simple action, but think what a huge impact it could have. So as we go into 2012, let’s start each day with the perspective that it is a day for us to work to make change. Each day is a day to take some action, big or small, to make the world a better place for pit bulls and all dogs that face discrimination based on misperceptions and stereotypes just because of the way they look. At StubbyDog, we are going to work hard this year to give you specific “Action Alerts” and ideas of ways you can get involved and make a difference, so stay tuned. Happy 2012 everyone! I’ve secretly (so secretly that I’m blogging about it!) 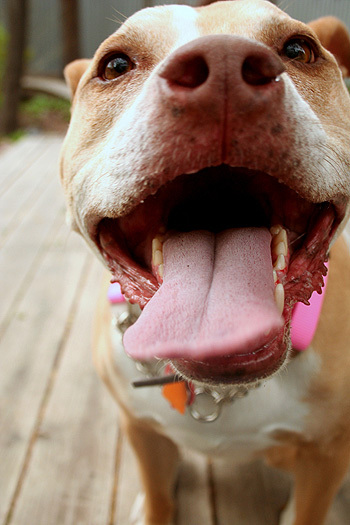 proclaimed this the year of the pit bull! All of us here at StubbyDog look forward to working with all of you to make that happen. @theprettychic You are such an amazing example of someone that DOES work daily to change the world to the better! Such an inspiration and an honor to have you as part of our community!! The video of the pittie and bird should be on utube to show the gentleness of this breed and so it can be circulated on FB. The link to the calendar didn’t work just now. Oops! This time it worked! I love your idea of Action Alerts. I look forward to your passing on of ideas of how to get involved. I am so impressed with StubbyDog so it gives me good reason to look forward to your contributions in 2012. @VKelly Thanks, we are all excited about what this year will bring! Thank you stubbydog, for all that you do. Thank you from me, from Enzo, and from my old lady Buddy.